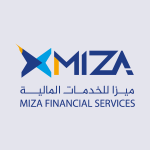 MIZA Financial Services Company is a Libyan company specialized in the field of electronic payment. Its main objective is to provide e-payment services and solutions to all sectors operating in the Libyan market and to create new ways to repay and collect debts. The company is also keen to provide all these services through a technical and technical team and know-how with their expertise and is supported by a team of young people in the field of technology and project management and supervised by international experts in the field of electronic payment and payment management. We aim to provide exceptional services in non-traditional ways and to spread the culture of electronic payment within Libya according to international standards and specifications in accordance with the applicable regulations and laws.